Curry & Quiz Night in aid of Withybush CDU Appeal! 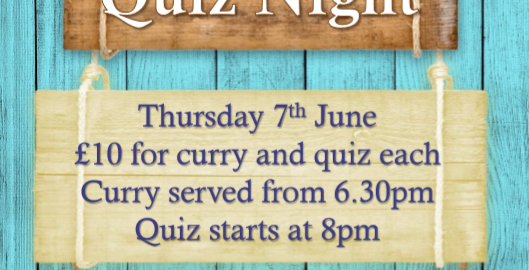 We’ve teamed up with The Ocean Bar & Restaurant @ Broad Haven to host a Curry and Quiz Night on Thursday 7th June from 6.30pm to raise money for Withybush’s CDU Appeal! So if you are in the area, pop down to the seaside and join in the fun, all for a good cause!